At 8:32am, Sunday, May 18, 1980, Mount St. Helens erupted in Washington State with the explosive force of more than 20 million tons of TNT. It remains the most deadly and economically destructive volcanic eruption in the history of the United States. When author Shirley Rosen first heard the news, her immediate thoughts were of her 83-year-old uncle, Harry Truman, who owned the 50-acre Mt. St. Helens Lodge resort on the shores of Spirit Lake. Harry was his given name, but if anyone asked he'd say, "Just call me Truman." Drawing from interviews and memories of working at Truman's lodge, Shirley Rosen tells the story of this salty curmudgeon who became an American folk hero during the eruption of Mount St. Helens. When the mountain gave warnings of impending danger, Truman defiantly refused to leave his home of 55 years. His rugged independence, hard-nosed business sense, and infectious humor embodied the spirit of the nation, capturing its attention and its heart. In the end, the mountain he loved had the final word. 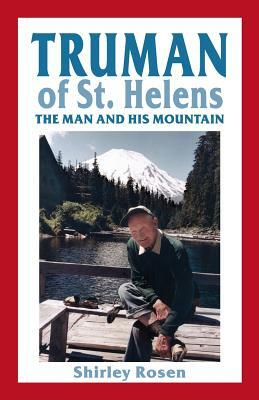 Truman's story remains a Northwest original and is forever embedded within the dynamic slopes of Mount St. Helens.